This is where you can download some fun activities that you can do in your spare time. 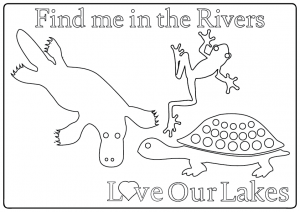 The Love Our Lakes Education Kit has been prepared for Primary Schools, years 3-6. 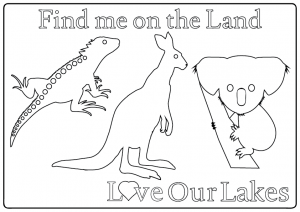 This resource is designed to help raise awareness of the importance of the Gippsland Lakes and its catchment as well as provide some fun and interesting activities that can be conducted in the classroom or out on an excursion. 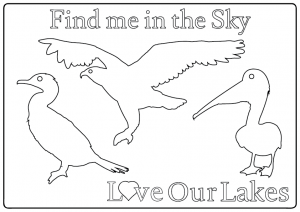 The Love Our Lakes Enviro-Stories Program was run with primary schools from around the Gippsland Lakes region in 2013-2015 and engaged students in writing and illustrating their own storybooks about the lakes. Read the books that have been written and illustrated by local kids. Click on the colouring-in sheet you want to download. 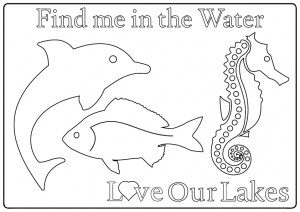 Print it out and happy colouring! Can you name all the animals in these sheets?